A Notice to Appear (NTA) most closely resembles a simple citation or ticket which is why many people fail to take them seriously. In all actuality, a Notice to Appear carries the same implications as being arrested as individuals face the same criminal penalties. Those who fail to appear in court on the date they were assigned face having a warrant out for their arrest and additional charges being added to their case. Avoid any further legal issues by contacting an experienced attorney the moment you’re issued an NTA. 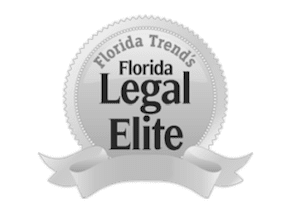 The Orlando criminal defense attorneys at The Umansky Law Firm are seasoned lawyers with experience as former prosecutors on the state and local level. We can explain to you the criminal penalties you may be facing and serve as your legal representation throughout all court proceedings. Navigating the criminal justice system independent of legal counsel can be a daunting task. Our team of zealous criminal defense attorneys can you guide you through the legal process. At your initial court appearance, the county judge will inform you of the State’s offer and ask if you would like to resolve the case then and there. As tempting as it may be to settle the issue on the spot, it is crucial that you do not resolve your criminal case without the legal counsel of an experienced criminal defense attorney. There are often hidden consequences that come with settling the legal matter which can include deportation, driver’s license suspension, and the inability to have the offense expunged or sealed. When is a Notice to Appear Issued? The expectations as to when or when not to issue an NTA vary depending on the police department. Generally speaking, police officers have broad discretion as to whether they make an arrest or issue an NTA. If you were issued a criminal Notice to Appear, be sure to take swift action. NTAs aren’t something that you should blow off as the criminal repercussions can be grave. Your future, career, scholarships, and licenses are all at stake. Get the help you need by speaking with an Orlando criminal defense lawyer with The Umansky Law Firm. Our team of attorneys shares over 100 years of experience that they can put to use to mitigate your criminal penalties. Contact us today at 407-228-3838 for a free case evaluation.